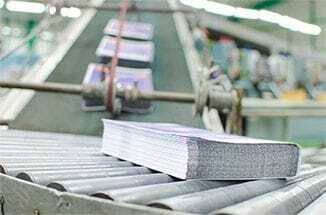 BCT has been providing wholesale printing services to the southwestern United States since 1981. We are dedicated to the high quality reproduction of printed goods from a simple black, raised ink business card to a full-color, tri-fold brochure with perforations and sequential numbering. We will give you the quality and service you and your customers deserve. Increasing your profits, shortening your delivery time, and improving your product offerings are cornerstones of our success. Our dedicated sales staff and customer service representatives will work with you to help meet your customers' needs. Full Color, Direct-to-Press Digital Printing at 300 lpi, Flat Printing, Thermography, Laser-Safe Thermography, Foiling/Embossing, Die-Cutting/Perforating, Numbering, Business Cards, Letterheads, Envelopes, Postcards, Brochures, Flyers, Preprinted Shells, Imprints, Announcements, Foldover Cards, Teledex Cards, Notepads, NCR, Carbonless Forms, Labels, Stickers, Rubber Stamps, Dater Stamps, Number Stamps, Embossing Stamps, Notary Stamps and more!